It's hard to know what to say about this video of a recent Glenn Beck show. As usual, his rhetoric is enough to send you running for your guns and maybe even for a bunker as you get ready to use your arsenal against your own government. What is this all about? As we head into the July 4th holiday week-end, patriots all over the country celebrate our country's beginning. Flag waving is in order as are parades with lots of military vehicles, military personnel, fire trucks, police officers, and veterans throwing candy to the kids standing on the sidewalks watching the spectacle. So what does it mean to be a patriot? Watching the Beck video and celebrating the fourth of July got me thinking about what is going on in our country right now. Listen carefully to what Glenn Beck and others like him are saying about their own country. What they seem to want is an insurrection against their duly elected government and they encourage people to have their guns at the ready just in case. Beck is telling his viewers that even the Supreme Court, which has made two recent decisions supporting the right to bear arms, is not to be trusted. If you trust in what the Supreme Court decided in Heller and McDonald, you should feel good about your Second Amendment rights. So why doesn't the gun lobby trust in the decision? Beck is also telling his viewers that they can't trust police because inevitably they won't be there to stop crime. Gun rights advocates don't trust that law enforcement will ever be there when needed so therefore, the need for their own guns to take care of crime in the home or on the streets. No one can stop all crimes- not even the gun guys. But law enforcement is trained to protect us and I trust them. If you don't trust the police, you can have a gun in your home to protect yourself. That right is guaranteed. Beck tells his viewers in this video that our leaders just don't get it and that is why you need to protect yourself, your family and your neighbors with your guns. To Beck and the gun lobby, the second amendment has now morphed into a right to protect yourself against your own government. And something new has occurred in our country with the emergence of the Tea Party. At rallies, they dress in Revolutionary War costumes to make sure everyone knows that they are patriotic and adherent to the original writings of the founding fathers as if nothing has changed in 200 plus years since our country's birth. Sometimes they even bring their guns to their rallies. On the Tea Party Patriots site, it is clear that these folks are patriotic. There are American flags on the site and before you get to the home page, there is a visual of the Statue of Liberty with a flag in the background. The site is even called "Teapartypatriots". I guess they envision themselves as "uber" patriots. So basically, Beck and his followers don't trust the very government that was envisioned by our founding fathers when they wrote the Constitution. This hypocrisy is beyond reason. These are the very same people who love to say they have read the Constitution at least three times and carry it around with them in their shirt pockets, just in case. These are the same folks who love to quote the founding fathers thinking that that makes them more patriotic than those awful progressives like New York City Mayor Bloomberg who founded Mayors Against Illegal Guns. The video that Beck plays on his show was produced by Mayors Against Illegal Guns to call attention to the fact that Al Qaeda leaders tell their followers how easy it is for them to get guns in America from gun dealers and gun shows. Beck doesn't think this is a problem because he says that the terrorists will just get them somewhere else so why bother tightening up the current law. That is the same line the gun lobby uses about criminals. They get their guns on the streets or they steal them. The problem with this line of argument is that guns start out in the legal market. They are stolen from the homes of gun owners or from gun dealers who are careless or actually, knowingly sell guns to straw purchasers. We do have a number of corrupt gun dealers who contribute to the illegal gun market as well. Or they get them from someone who buys guns at gun shows and sells them on the illegal market. As we all know, in many states, there are no background checks required for private sellers. That makes it easy for just anyone to walk out of a gun show with many guns, as has been shown in various videos that you can see on my blog site. To the gun lobby, gun laws don't work so why have them anyway? Or just enforce the laws already on the books. Or just make sure the punishment for using a gun in a crime is severe enough to dissuade criminals from robbing someone at gunpoint or shooting someone. The problem with this line of reasoning is that criminals and terrorists don't really think about the punishment before they shoot or attack someone in the heat of the moment. Going to prison for life or getting the death penalty ( in some states) has not stopped them from their criminal behavior so far. This is also the line of reasoning that parents use when they tell their children not to speed while driving or not to drink while underage or not to do drugs. They will be punished. Do teens always listen to their parents? Do they think about these parental admonishments before they go ahead and engage in risky behavior anyway? It is understood by most everyone that America's gun laws make it easy for the wrong people to get guns. Using the logic of Glenn Beck and the gun lobby, we shouldn't even try to stop them because if we do, it means that, of course, your own second amendment rights will be violated. So back to my point about patriotism and guns. If you listen closely to Beck's words, he throws in Communists and Socialists and evokes Hitler, Mao and Stalin. What does he mean by this? It's an exercise in futility to argue about guns and Hitler/Stalin/Mao. There is no proof one way or the other that the lack of guns or confiscation of guns had anything to do with why these awful leaders came to power. Surely we don't want our country to suffer the same fate. But the chances of that happening are slim. Our Constitution was meant to protect against this type of take-over by a dictator. When Beck asks someone in the audience in the video what the second amendment means he has to keep prodding the man until he finally says the right thing- to protect oneself and one's family against the government. What happened to the first part of the second amendment that says, "A well regulated militia, being necessary to the security of a free state..."? What is a well regulated militia if not the armed services and the national guard? The second amendment is not meant to cover armed citizens in acts of treason against their own government. 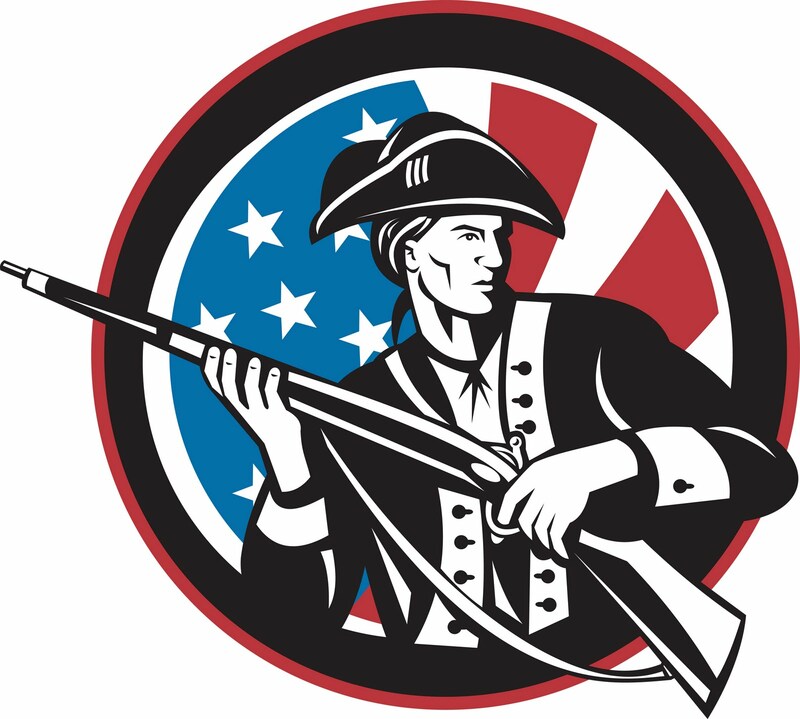 Given Beck's interpretation, the militia must be made up of every day Americans who have charged themselves with the responsibility to fight against the government rather than to be with the government when needed. Beck and others who agree with him have a vision of Army tanks on our streets coming to take away our guns. He even mentions in the video that he is ready when the tanks come. This world view is foreign to me. Guns and patriotism are not one and the same. How did we get to the place where a T.V. and talk radio host can tell people to be ready to fight against their own country? So who is a true patriot? In the Wikipedia entry linked above for the word patriotism, you can see that, as often is the case, the entry itself is subject to interpretation. "The neutrality of this article is disputed". You can check out the differing opinions about the word here. But what is the commonly held definition of "patriotism"? Here, from the Merriam Webster dictionary is the definition: " love for or devotion to one's country". How can this be measured and who decides whether someone is patriotic or not? Is Glenn Beck, who wants people to increase their arsenals of personal guns to fight against their own country more of a patriot than Mayor Bloomberg who wants to keep people on the terror watch list from getting guns that could be used to attack innocent Americans? If we are to believe Beck, patriotic Americans should use their guns to display their patriotism. This ramping up of fear and paranoia against President Obama, his policies and the government should frighten us. Differences of opinion and philosophy should not be solved with guns. That is what elections are about. Americans show their patriotism in many ways. One does not have to dress in costume, or have a lot of guns, or wave a flag from their car or their porch or wear a flag lapel pin. Using patriotism to ramp up fear of the government just does not make common sense. Happy Fourth of July to all patriots out there. "the second amendment has now morphed into a right to protect yourself against your own government." This is what it has always been about. It was the desire to be free of a tyrannical government that brought about the revolution. The 2nd Amendment has never been about anything else. If you read the Federalist papers, there are sections devoted to the reasons that some of the Founders insisted on the 2nd Amendment being included in the Bill of Rights. I have heard people talk about the fact that no one wants to take away our hunting guns. I've looked, I can't find anything in the Constitution about hunting. There are people out there that would like nothing more than to disarm every law abiding citizen. The problem with their plan is that leaving just the police and military armed is the basis of a police state. Bloomberg is among these people. There are a lot of them out there working in the shadows to advance their agenda. There are some right out where everyone can see them. Well regulated, in the vernacular of the time meant "well trained". Even today according to title 10 of the US code, we still have a citizen militia. Hopefully, it will never have to be used. The people in this country for the most part still believe in the soap box and the ballot box. As far as having a gun for self defense. That is a side benefit of the 2nd Amendment. Having been the victim of a violent crime in my younger days, I swore it wouldn't happen again. So far, 35 years later it hasn't. However, having a job considered by some high risk, I carry daily. I hope never to have to use it. I don't get mad when someone cuts me off in traffic and I ignore the idiots with their fingers telling me I'm number one. Resolve and restraint are the two best traits people need before they decide that carrying is for them. Of course there are going to be a few and I don't know how to weed them out. "A well regulated militia, being necessary to the security of a free state..."? What is a well regulated militia if not the armed services and the national guard? The second amendment is not meant to cover armed citizens in acts of treason against their own government." Who is the militia? Actually it is defined in US Code. So even if I allow that an independent clause at the beginning of the sentence holds any sway over the rest of the sentence (ignoring the basic rules of grammar). US Code tells us that it is "all able-bodied males at least 17 years of age"
In modern terms, that is everyone. By the way to be "well regulated" did not mean well controlled back then. It meant "To be made regular" or orderly. For the second part. "The second amendment is not meant to cover armed citizens in acts of treason against their own government." Of course, treason is EXACTLY what the signers of the Declaration of Independence were committing when they signed their names to that paper and the very people that wrote the 2nd amendment, so do not fool yourself into thinking they didn't know exactly what they were writing. The revolution started when the British were sent to seize the powder and cannon from the citizens of lexington So an attempt at "gun grabbing" is, in part, why we started fighting and it's a good thing that the citizens were armed or we'd be drinking tea. Why do you think the Brits wanted to disarm the people if an armed populace was not a threat to the government? You say that you trust the police. I understand, but you must know that in previous times of natural disaster or civil unrest the police have either be unable or unwilling to respond to calls for help. Think of the LA riot and Hurricane Katrina and flash mobs as recent examples. In all cases lawlessness ran unchecked by the Police. There are many stories from New Orleans where an armed homeowner was all that stopped the looters from over running their home. As for the Tea Party folks and the Constitution. The worry is that the government and the courts are ignoring it. Kelo vs US says that your home can be taken by the government and sold to someone that will pay higher taxes. Obama just ignored the war powers act, The health care bill says that the US can MAKE you buy something whether you want to or not. There is a very good reason why people are starting to say we need to return to a more strict following of the Constitution. That isn't a call for revolution, it's a call to limit the government to the roles the founders set down, or change it the LEGAL way, by amendment. Have a good 4th. I plan to lay on the grass and watch fireworks with my "kids" (my youngest will be 21 this year.. argh..) and remember those traitorous men that created this county. "What is a well regulated militia if not the armed services and the national guard? " Federal statutes outline the Active Duty US Military, the reserve forces (including the National Guard / Air National Guard), and the militias (organized and unorganized) - and the membership of each of these. You'll note that both Supreme Court cases on the 2nd Amendment from the last few years essentially ignored this clause within the 2nd amendment, and rightfully so. The founders did not intend for it to be read in the manner in which you do above. "Beck is also telling his viewers that they can't trust police because inevitably they won't be there to stop crime. Gun rights advocates don't trust that law enforcement will ever be there when needed so therefore, the need for their own guns to take care of crime in the home or on the streets. No one can stop all crimes- not even the gun guys. But law enforcement is trained to protect us and I trust them. " That's not at all what he's saying, or what any of us are saying. I generally trust the police - though there are some departments and some individual officers that really need to be in a different line of work. What we're saying is that legally the police have no legal obligation to protect you - and they're not often around when crimes are occurring. If I'm attacked today, walking down the road, it's highly unlikely the police will be present and able to intervene, for example. It's not that we don't trust the police - it's that we take a different view of our own obligation to protect ourselves. I choose to avail myself of a firearm to do so. You choose not to. Either is an acceptable choice. I'm pretty sure I have asked the guy from Lebanon, Oregon to stop commenting on this blog. But in case I haven't, I am asking again for him to stop his sexually explicit, offensive comments. You are not welcome here and give a bad name to the gun rights activists. Our founding fathers where quite the visionaries if they wrote the 2nd Amendment because they foresaw the creation of the National Guard over 100 years later.
" 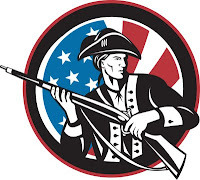 Another type of militia, not recognized by the federal or state governments, is the private militia. Private militias are composed of private citizens who train for armed combat. The formation of private militias became more common in the United States in the early 1990s as some political groups armed themselves to demonstrate their opposition to certain policies and practices of the federal government. One of the most publicized private militia groups was the Montana Freemen, who were involved in a lengthy standoff with agents of the Federal Bureau of Investigation in 1996. Militia groups faded quickly in the latter half of the 1990s, however. Law enforcement officials began cracking down on the groups, and many members reportedly became impatient in training for the causes of the various militia. By 1999, the total number of private militias in the U.S. had shrunk to an estimated total of 68. Law enforcement officials continue to track militia, citing their extremist beliefs and their propensity for conspiring to commit acts of violence." japete: "If you trust in what the Supreme Court decided in Heller and McDonald, you should feel good about your Second Amendment rights. So why doesn't the gun lobby trust in the decision?" Are there groups out there insisting that Heller was so wrongly decided that it is bound to be reversed some day soon? Do those groups still insist that they can ban types of guns that are "in common use" even though Heller said otherwise? If any of them wonder why some of the "gun lobby" doesn't trust in the decision, perhaps they should look in the mirror. japete: "The video that Beck plays on his show was produced by Mayors Against Illegal Guns to call attention to the fact that Al Qaeda leaders tell their followers how easy it is for them to get guns in America from gun dealers and gun shows." Not exactly. The terror supporter in the video claims that automatic machine guns are easy to get at gun shows. That's so absurdly incorrect that most gunowners have found the video to be risible. If Beck takes seriously such an absurdly incorrect claim, then he is a fool -- but no more so than gun control advocates who claim to have found wisdom in such a wildly bogus statement. Claiming that automatic machine guns are easy to get at gun shows demonstrates that the speaker knows zilch zip nada about reality, yet his words are elevated to somehow have great meaning in an attempt to fit the political agenda of others. "terrorists can buy guns legally from licensed dealers because their names are not on the NICS list of prohibited purchasers." The majority of those of us on the gun-rights side of the aisle are not in favor of arming terrorists. We are against depriving people of rights without due process. There is no clear cut criteria for making the terror watch-list and no definitive way to be removed from it once on. Once my wife went to Walmart and attempted to pay with a check. Walmart refused her check and gave her a card with a number to call. I called the number and my checks were being refused because someone with a similar name but different address, drivers license, and state of residence had written checks on the other side of the country from me. Only the person who put me into the computer could take me out but I wasn't allowed to know who that was. Terrorists are much more likely to use car bombs than guns. They have already used them and attempted to use them here. So let's suppose that we suspend all driver's licenses and make it a felony for them to be in possesion of an automobile. Now lets suppose someone somewhere puts the name Joan Peterson on the terror watch-list. Still think it is a good idea? I'm sure stricter gun control laws would have prevented Al Qaeda from hijacking airplanes with box cutters, or from bombing the world trade center in 1993. No I wouldn't like it if my name were put on the terror watch list in error. I also don't like the fact that we know terrrorists are getting guns. Think about Miumbai. Guns were used to terrorize one of the world's largest cities for days. Think about the DC Snipers. They terrorized that area for days with guns. Why don't you think terrorists wouldn't use guns? The Al Qeada operative in the video is clear that it's a good idea to go to American gun shows for guns. That should tell us a lot. I understand the concerns about the names on the list. But I think it will work if we have a process to assure that any name on the list in error is removed. I trust that your name was removed from the list once you became aware and went through a process. Snarky, Red, but why wouldn't you think they will try something different than already used? They are always looking for different ways to attack. Guns are logical. Why not? Why take the chance? Do you want terrorists to be able to buy guns? If not, what is your solution to this problem? So far the NRA had come up with nothing.. That's because they would have to admit that our loose gun laws allow terrorists who would attack us if they could to buy guns at gun dealers and gun shows. japete: "terrorists can buy guns legally from licensed dealers because their names are not on the NICS list of prohibited purchasers"
No -- convicted terrorists are indeed on the NICS list of prohibited purchasers. What are not on the NICS list of prohibited purchasers are names of those that someone suspects might want to become terrorists. japete, if you wish to deny the Constitutional right to buy a gun to those whom bureaucrats place on a secret list using secret criteria, I would very much like to know what other Constitutional rights you would also deny to those whom bureaucrats place on a secret list using secret criteria. japete: "Do you want terrorists to be able to buy guns? If not, what is your solution to this problem?" If someone is a terrorist, then search his person, residence, or business without a warrant, interrogate him without any lawyer, and jail him until he tells everything the govt want to know. Constitutional rights? You have already shown that you have no problem denying Constitutional rights to anyone that bureaucrats place upon a secret list of suspects using secret criteria. What problem? Terrorists buying guns in the united states? I'd like there to actually be evidence of that before coming up with a solution. What solution is possible? Not selling guns to people who look like arabs? Even if you were to come up with some way to single out terrorists, and only terrorists, what stops them from buying weapons outside the country and smuggling them in along our virtually unguarded southern border? Their names are identifiable as someone on the terror watch list but they can't be prohibited because they are not on the list of those who should be prohibited from obtaining guns. That is the problem. So it sounds like racial profiling and search without a warrant are the answers from two of you. I'd like to see some realistic answers that will actually work and not be illegal. "But I think it will work if we have a process to assure that any name on the list in error is removed." I hear a lot of calls to keep people on the watch-list from buying guns from your people. I must have missed the part where you called for correcting the problems with the watch-list first. Can you please post the link where your side has called for that. I have also seen your side saying that hundreds of terrorists have successfully purchased guns but I missed the part where they used them. There was the Muslim major at Fort Hood but he wasn't a terrorist according to the government. By your logic, then, Robin, we should go ahead and let terrorists buy guns and let the chips fall..... We do take our shoes off at airports and walk through body scanners just in case a terrorist wants to get on a plane with some sort of explosive or weapon hidden on or in their body. There are many other preventative measures taken to guard against terrorism. We know that guns can and are used by terrorists. Why would we not want to stop a terrorist attack by trying to prevent those who might attack us from doing so? The system is not a perfect ( ala Major Hasan) one but to knowingly allow some people to buy guns who shouldn't have them just does not make sense. I'm not suggesting racial profiling and illegal searches. I'm trying to illustrate the difficulty involved in the matter. Obviously, I'd prefer not to let terrorists have guns. Unfortunately, there's nothing that marks somebody as a terrorist or not. There's no magical sign over the heads of terrorists. Not all terrorists are muslim, and not all muslims look arabic. Not all arabic muslims who hate the U.S. are willing to use terror tactics against us. Known terrorists would be stopped by the NICS background check. The terrorist watch list is so ineffective that Senator Edward Kennedy was deemed a terror threat to the United States! The ACLU is currently suing the government about keeping secret lists that deny rights to innocent citizens without the due process of law REQUIRED by the 5th amendment to our Constitution. Even if we had a magical machine that read the thoughts and intentions of everybody buying guns, and had a magical machine that kept guns from being sold to evildoers, and had a 100% accurate, infallible list of everybody in the world who wants to do us harm.... a terrorist could EASILY buy a gun outside of the country and walk it across the border undetected and unstopped. I don't see how throwing out the second, fifth, and sixth amendments to our constitution, in order to stop a theoretical problem that has never happened, despite the fact that it would do nothing to stop this problem, is common sense. "I also don't like the fact that we know terrrorists are getting guns. Think about Miumbai. Guns were used to terrorize one of the world's largest cities for days." Guns that were smuggled into the country by a group terorrists - not purchased within the country of India. They also had explosives and allegedly assistance from the Pakistani ISI. "We do take our shoes off at airports and walk through body scanners just in case a terrorist wants to get on a plane with some sort of explosive or weapon hidden on or in their body. " And just how many terrorist attacks has that stopped? O.K. anon. I'll bite. I will let you answer your own question because I'm not sure what you're getting at. "And just how many terrorist attacks has that stopped?" "O.K. anon. I'll bite. I will let you answer your own question because I'm not sure what you're getting at." Before the shoe bomber we didn't have to take off our shoes. Before the underwear bomber we didn't have have scanners that show everything to to the viewer. Before 9/11 people carried knitting needles, box cutters and small knives on planes and we didn't make terminally ill women take off their adult diapers. Before Katerina FEMA was very different than after. There is a pattern here. The government always reacts AFTER the fact but doesn't actually PREVENT anything. If it wasn't for the general incompetence of the terrorists and the quick action of citizens on the airplanes, we could have had two or three additional attacks against airplanes in the US. All after the TSA went to increased security. "knowingly allow some people to buy guns who shouldn't have them just does not make sense"
I agree, but already have ways in place to prevent that. If you "know" they are a terrorist. Arrest them and put them on trial. If they are NOT a terrorist, then they are entitled to the full rights an immunities from harassment as any other person in the US. We can't be a free people and have it any other way. Otherwise, no matter how attractive the solution looks, even it we agree it's common sense, it is still ILLEGAL. We have a process to change the Constitution if needed. Until then, we expect it to be followed. "And your point is.....? , Bryan "
His point is that it is India has the gun control that you dream of and Mumbai still happened because the terrorists brought weapons from outside the country. All the gun laws in India were useless. "O.K. anon. I'll bite. I will let you answer your own question because I'm not sure what you're getting at. " His point is that we gave up our rights and suffer the indignities that TSA inflicts on us for the illusion of safety. By their own admission they stop less than 30% of attempted weapons being smuggled on to airplanes.
" Experts say every year since the September 11 attacks, federal agencies have conducted random, covert tests of airport security. A person briefed on the latest tests tells ABC News the failure rate approaches 70 percent at some major airports. Two weeks ago, TSA's new director said every test gun, bomb part or knife got past screeners at some airports." "Their names are identifiable as someone on the terror watch list but they can't be prohibited because they are not on the list of those who should be prohibited from obtaining guns." 95% of those on the watch list are legally forbidden to possess firearms within the United States because they are foreign nationals without permanent resident visas in the US, or because they have prior felony records. So the question is, who are those remaining 5%? Who are they? Why are they on the list? What evidence exists to indicate that they are a threat to society? If they are a citizen of the US, and they don't have a criminal record, we need to see some actual evidence, before we think about restricting their rights. Japete, I don’t understand why we haven’t been able to make any headway on this issue. This has come up dozens of times, and each time you have seen that the majority of complaints have included the words “due process” in some form. Just look at the above thread. This is a 5th amendment issue more a 2nd amendment issue. Numerous times, I have offered my solution which gives you everything you claim to be after (denying known terrorist legal gun purchases) while still protecting 2A and 5A rights. Each time you bring it up again, you are right back where we started (adding the whole watchlist to the NICS). Can you please explain to me why my proposal is not acceptable to you? To rehash in short; cases by case evidence brought to a judge who signs off on a temporary injunction to include that individual as a prohibited person. What am I missing? TS- I am working on another post for this one. I have so many comments on this blog that I can't keep track of them all. Can you remind me again of your proposal to solve this problem? Were you suggesting using the smaller No Fly List? Basically what I have been saying all along is that we treat it the same as we do for violating the right to privacy (pre-Patriot act- I think that whole thing should go). If authorities believe someone to be involved in terrorist activities they gather the evidence they have and bring it to a judge who signs off on a search warrant or wire-tap (or in this case NICS denial) with an expiration period. This is a lower standard than making an arrest or a conviction, so we are still talking about terrorist *suspects*, but the judge still wants to see some evidence. They are not just going to let law enforcement do whatever they want. That is why the check has to be outside of law enforcement/DOJ office. If they are already investigating the suspect, it doesn’t even involve any more effort- short of additional paper work. Thanks, TS. I am sure there are reasons why the current bills are written as they are. I am not subject to those inner workings. Have you submitted your ideas to anyone who can do something about them? I don't know if your ideas would work better or work at all actually. I know you think they would. I may use what you wrote on my next post. Yes… you. I know you are talking about legislators, but your stated mission for this blog is to affect change through thoughtful discussion about gun control- so here I am. I am here offering my voice as to the reasons why certain proposals are unacceptable or unconstitutional in my opinion. My objective isn’t to get more gun control passed, but I am honest about where I draw the line and why. Since it is not unprecedented to temporarily suspend rights to individuals during the course of an investigation, I can apply that same reasoning to gun rights. If mine isn’t going to work, than neither is yours. They both only add suspected terrorist to the NICS, mine just adds a step for due process. Truthfully, I don’t expect my proposal to “work”, as in I don’t think any of this legislation will stop actual terrorist from acquiring guns and shooting people if that is indeed their next plan. That is why I am not writing legislators trying to get this passed. What I am doing is saying what I find acceptable, and for the life of me I can’t figure out why it doesn’t satisfy the stated goal of “denying gun purchases to know terrorists”. I am sure there are too. Given my last statement above, I feel that there could be ulterior motives that extend beyond “denying gun purchases to know terrorists”. For one, it establishes a precedent that buying a gun is not a right, but rather a privilege granted by the state of which the authorities can deny to whomever they feel is a threat to society. That alone won’t stand up to Heller. None of us want to see terrorists purchasing firearms from FFLs. Like others have said, I've no issue with some sort of denial that is subject to judicial review that keeps terrorists from purchasing firearms from federal firearms licensees. The current watchlist process or no-fly list is significantly error prone and not subject to judicial review. I would oppose any attempt to use the current lists for this sort of denial. We're talking about individual's constitutional rights here (2nd amendment) - those rights should not be subject to the discretion of a presidential appointee or a law enforcement official. Due process under the law is also a constitutional right and deserves to be respected in these situations. Why the proposed laws don't take this into account is really beyond me. As far as my point re: Mumbai - the other commenter said it well: "His point is that it is India has the gun control that you dream of and Mumbai still happened because the terrorists brought weapons from outside the country. All the gun laws in India were useless." In India, gun control is extremely strict. Only the police, the military, and wealthy connected individuals have firearms. Some security are armed - and of course, the criminals have weapons - along with the terrorists like the folks that attacked the hotels and transit center in Mumbai.